This recipe is one I created because I like pot pie but seldom ever buy it. One night I was hungry for it and didn’t have any. 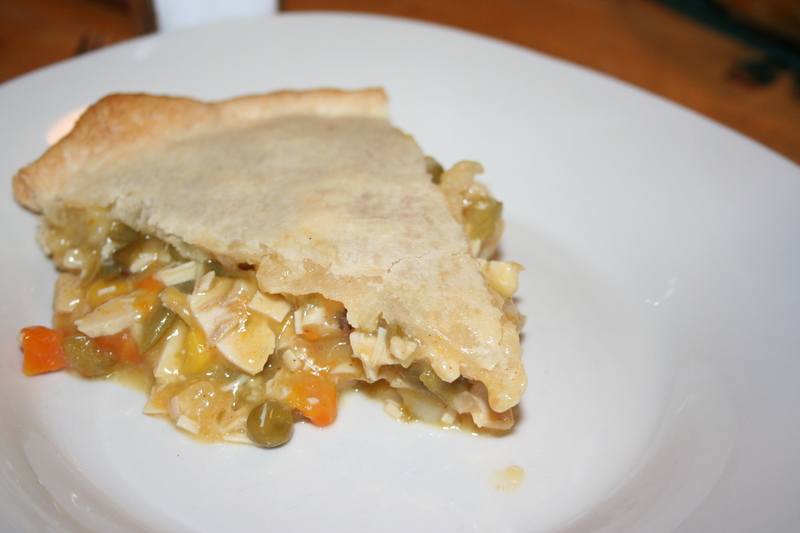 I knew chicken pot pie was basically chicken, mixed veggies, crust, and a gravy of some kind, all of which I had. First cook up some chicken. I use one large boneless skinless breast or at least 2 cups pre-cooked chicken chopped. Add can mixed vegetables (drained) and one can of cream of chicken soup (undiluted). Mix together. 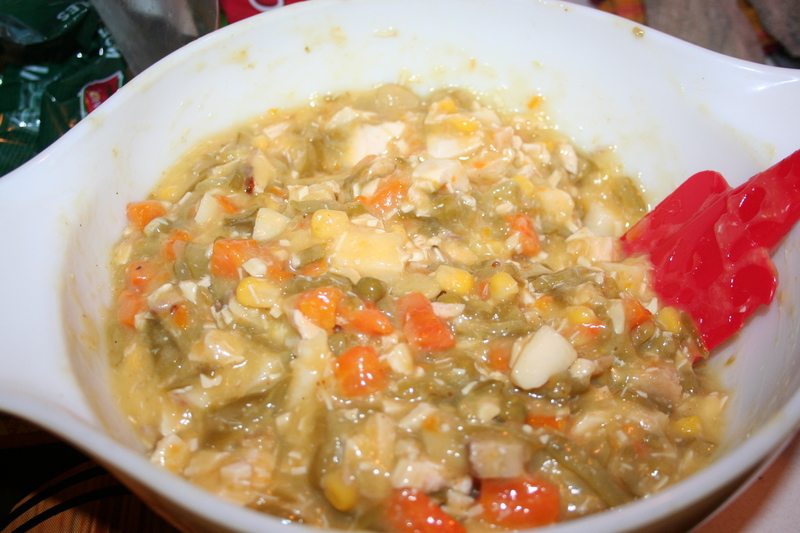 Look for the combination you like – I added in a can of cut green beans (drained) and another half can cream of chicken soup. 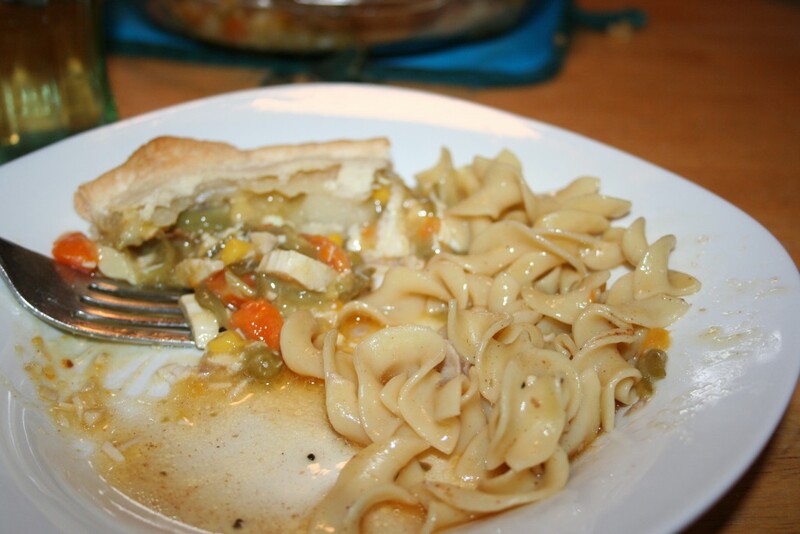 I cheat and use pre-made pie crusts. Place one in the bottom of a 9″ pie pan. 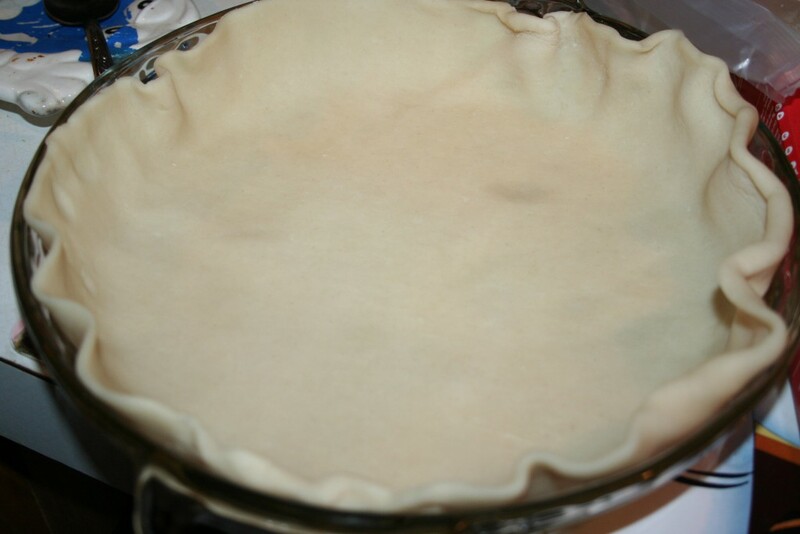 Place the other crust on top, tuck the crust hanging over the rim inside the pan and crimp the two crusts together. 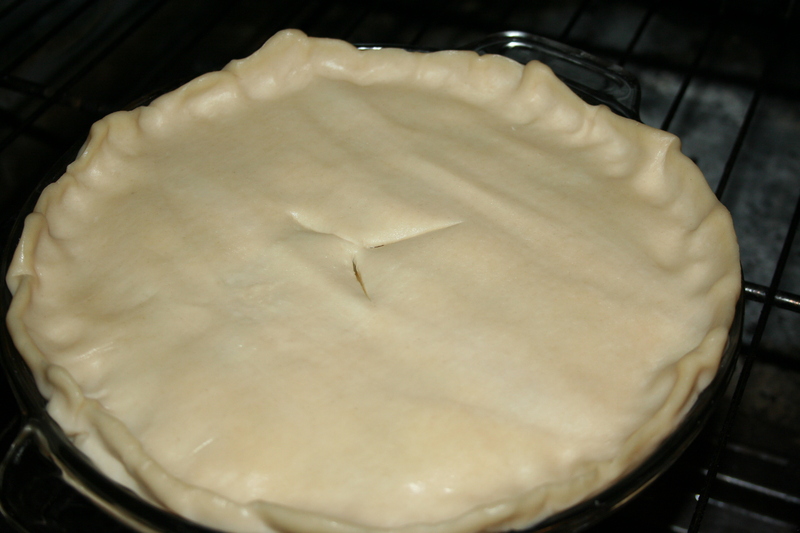 Cut a few slits in the top crust to allow steam to escape. 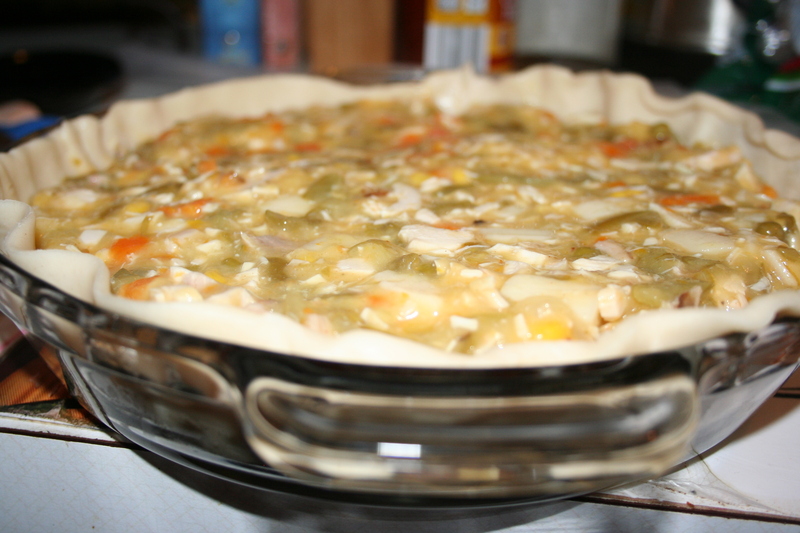 Bake at 350º for about 30 minutes or until crust is slightly golden and the filling bubbly.